Photo provided by Eric Zimmett, StateCollege.com. A Nielson study revealed that about one-third of Americans have streamed a TV show or movie through a paid subscription service like Netflix or Hulu Plus. And a majority of Netflix users have the service connected to their TVs. Two years ago this month, I cut cable and moved into the streaming TV world, which at first was a bit rocky, but is now a more intuitive TV experience than ever. With Netflix and Hulu Plus, when I want to watch a particular show, I watch the show. Whether it's 7 p.m., 9:36 p.m. or 2 a.m. The Colbert Report; Saturday Night Live; Lie to Me; 30 Rock; Weeds; American Pickers; MasterChef; Mad Men; The Office; SportsCenter and ESPN on Xbox 360; or even NBC News, CBS, ABC on Roku Newscaster. Streaming, on-demand content increases the shelf-life of television, therefore increasing the benefit to the show and its advertisers. What this means: more viewers for the content and the advertising. An almost unlimited shelf-life. Streaming TV puts the entire television experience – movies, news, sports, TV shows – on the user's schedule, not the network’s. It’s like everything has been TiVo’d for you. Most Netflix and Hulu Plus users are between the ages of 18-34 – dubbed Generation C – according to the Nielson study released in February. The second largest group is users between 35 and 49, then 50 to 64, which mirrors the adoption curve developed by Joe M. Bohlen, George M. Beal and Everett M. Rogers at Iowa State University in the 1950s. The curve illustrates the adoption of new products and innovations through five stages: Innovators, Early Adopters, Early Majority, Late Majority, Laggards. Netflix has inked exclusive content deals including Lilyhammer, which debuted Feb. 6, featuring Soparanos star Steven Van Zandt, horror series Hemlock Grove, scheduled for early 2013, Orange is the New Black, a comedy project from Weeds creator Jenji Kohan, as well as House of Cards starring Kevin Spacey. To acquire House of Cards, Netflix outbid HBO for the series. And now dozens of devices are available to stream content, including Blu-ray players, video-game systems like Xbox 360, Playstation 3 and Wii, Boxee Box, Apple TV, Google TV, TiVo Premiere and Roku. Read my review of the Roku streaming player here. 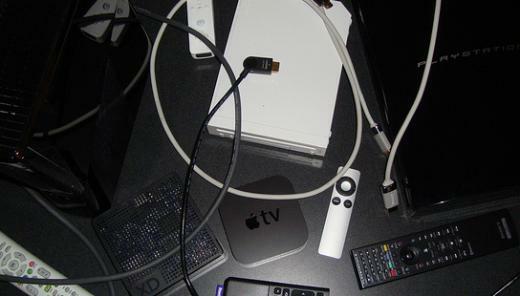 In most cases, users buy the streaming boxes, versus renting a box from cable or satellite TV companies. Subscription streaming services like Netflix, Hulu Plus or Amazon Instant Video provide unlimited streaming content for a fixed monthly price. Some cable companies have now started to offer their own streaming content as a companion to subscription offerings, like Time Warner On-Demand, Comcast On-Demand alongside a subscription to their services or premium cable like HBO GO and Showtime On-Demand. Strictly video-on-demand (VOD) services like Vudu are essentially today’s Pay-Per-View, with each movie available to rent or purchase. Comcast, the largest cable operator, announced in May it would begin testing IPTV or Internet Protocol TV. The same content, only delivered through the Internet. Netflix and its competitors will force cable, satellite and premium cable companies to overhaul the formula and their pricing structure, turning the entire landscape upside down. Lower prices, more content, delivered IPTV-style. Nine bands from five different local area schools took part in the 36th Annual High School Jazz Festival on Saturday. The festival took place at the State College Area High School North Building, hosting bands from Mount Nittany Middle School, Bellefonte, State College, Huntingdon and Hollidaysburg high schools.